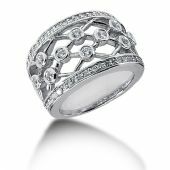 This strategic diamond anniversary ring has 14K white gold metal bars linking to the bezel set round brilliant diamonds. These links and diamonds are held up by the smaller diamonds that are placed in a channel setting on both sides of the diamond anniversary ring. 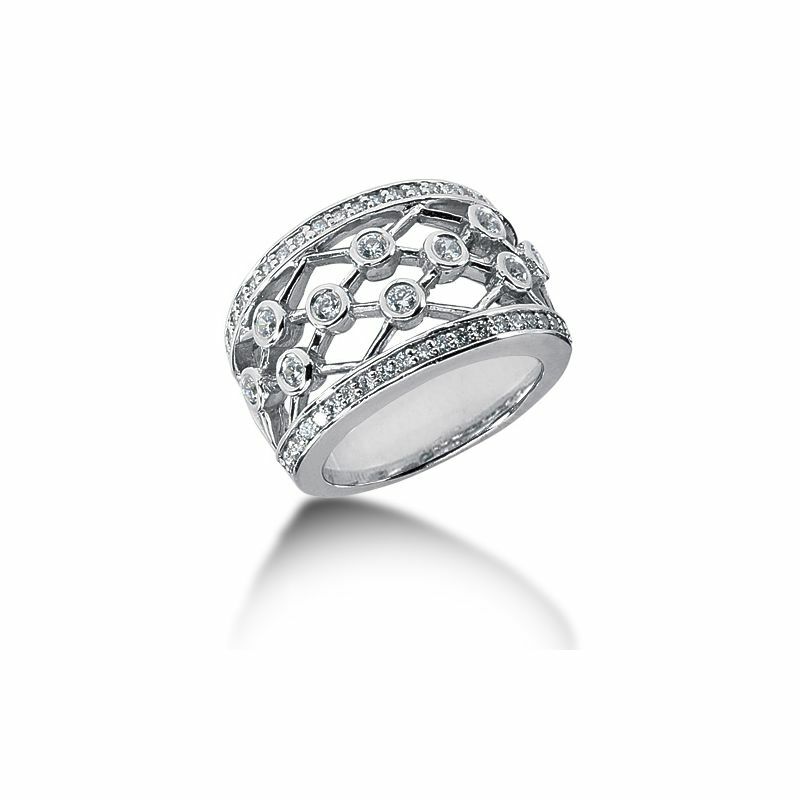 The 10 centered/ linked diamonds are 0.03ct each, and the 42 surrounding them are 0.01ct each. 42 x 0.01ct. , 10 x 0.03ct.